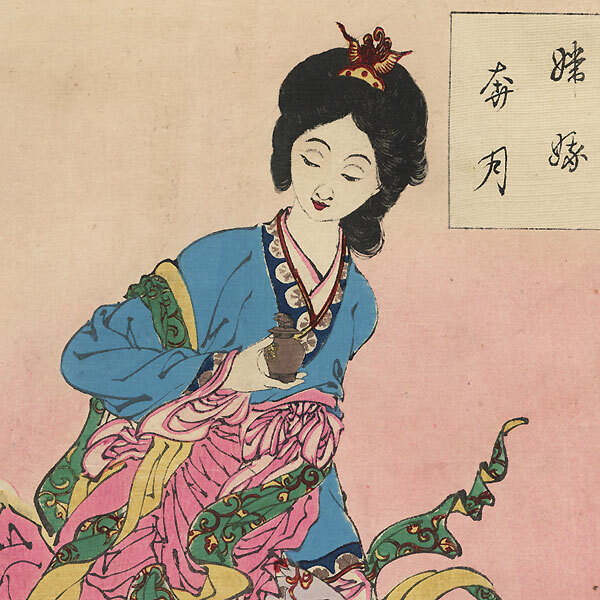 Chang E Flees to the Moon - This print depicts the ancient myth of Chang E, the queen of the moon. Having stolen an elixir of life and fleeing into the night sky, she then took reign over the moon. 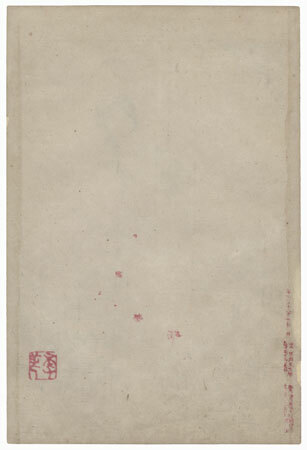 An early explanation of lunar eclipses includes the story that Chang E attempts to swallow the moon; later on, the idea of swallowing the moon alludes to the Daoist metaphor for the unattainable. 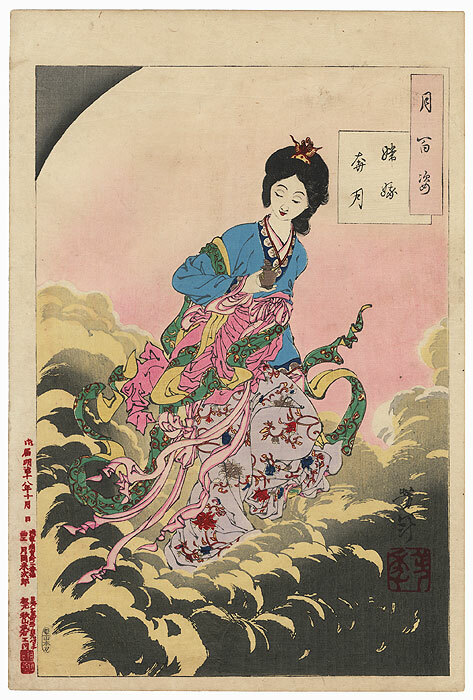 This is a beautiful print with rich and bright colors, the expressive face of Chang E and the billowing clouds and moon create a sense of movement. A fine composition and a nice choice for a collector. Condition - This print with excellent color and detail as shown. Slight toning and soiling, a few creases, light vertical crease. Please see photos for details. Good overall.